Zero-emission capable taxis will be exempt from the VED tax supplement that applies to cars over £40,000, the government announced in the Budget 2017. 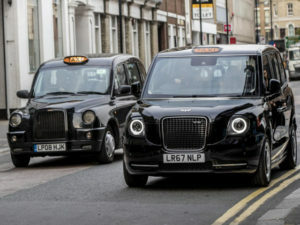 Consultations in advance of the April 2019 date when this change comes into effect, will determine how these ultra-low emission taxis will be defined. At present, the VED for cars with a ‘list price’ more than £40,000 is supplemented by an additional fee of £310 a year. The list price is defined as the published price before any discounts have been applied. In addition, plug-in taxis will benefit from funding for electric vehicle charging, announced by the Chancellor in the latest Budget.